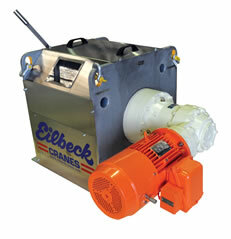 After a successful supply of a replacement winch for boom luffing winch system in 2014 on Huntly 190 stacker, Alcoa engaged Eilbeck Crane Winch Division to supply a second 115 kN Line pull winch, drive, ropes (2 off) and base frame, which is to replace the existing luffing winch system (approximately 40 years old) on the 290 Stacker, located at the Alcoa Pinjara Stacking Stockpiles. 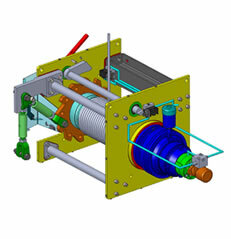 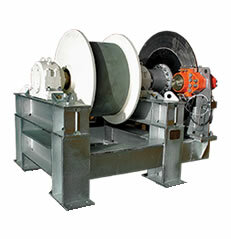 The performance requirements for the two systems are the same and where possible the components for the 290 winch were manufactured the same. 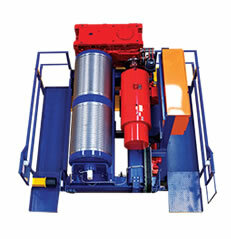 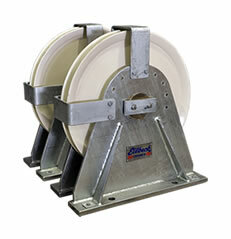 115 kN Line pull winch - Svendborg Hydraulic Brakes has built a solid reputation as a reliable supplier of modern innovative brake and supported throughout Australia and the world. 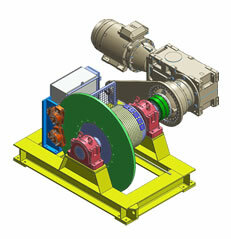 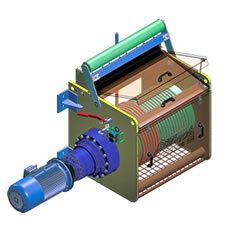 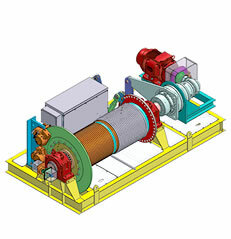 Brevini and Regal CMG have supplied the proven shaft mounted gearmotor for both contracts.